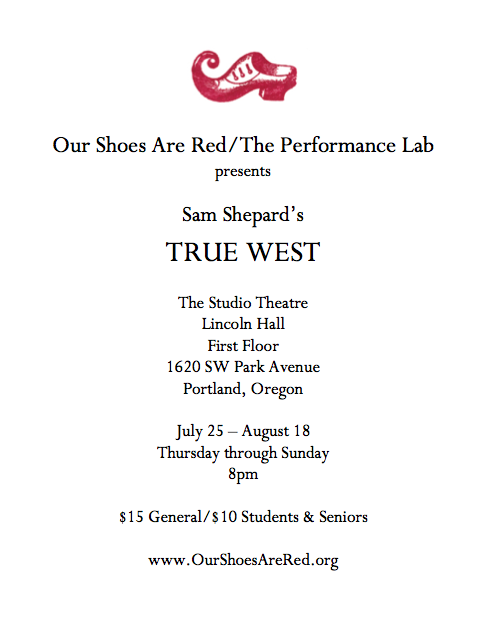 Portland-based theatre company Our Shoes Are Red/The Performance Lab will present Sam Shepard's True West. If you are in the Pacific Northwest in July/August, please consider seeing this play. In any event, please pass the word on to your networks. Feel free to make donations and ticket reservations.